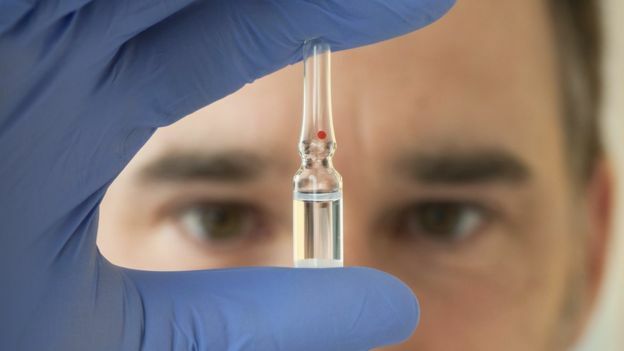 Human trials of a cholesterol-lowering vaccine to help prevent heart disease are under way after successful studies in mice. Researchers at the Medical University of Vienna are testing the safety of their experimental treatment in 72 volunteers. The jab is designed to stop fatty deposits from clogging the arteries. It would offer patients an alternative to taking daily pills to cut their risk of stroke, angina and heart attacks. 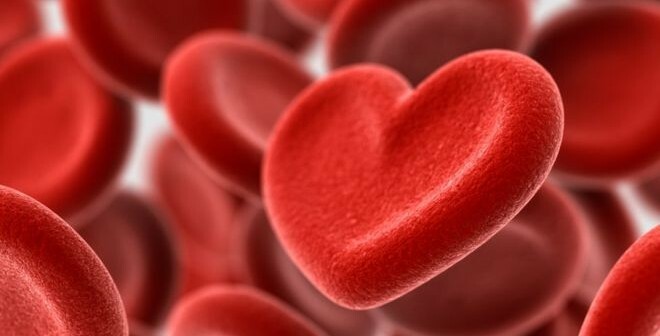 It will take years more of testing to know if the treatment will be safe and effective enough for human use, Dr Guenther Staffler and colleagues from The Netherlands Organisation of Applied Scientific Research say in the European Heart Journal. Even if it does become available, in six years’ time, it should not be seen as an excuse for people to avoid exercise and eat lots of high-fat food, they add. The jab helps the body’s immune system to attack a protein, called PCSK9, that would otherwise allow “bad” low density lipoprotein (LDL) cholesterol to build up in the bloodstream. The researchers envisage that patients could have a yearly booster shot to top up their immunity. 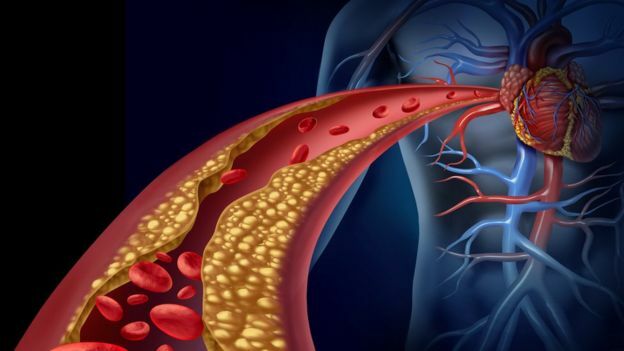 In mice, the treatment cuts LDL cholesterol by up to 50% over 12 months and appears to protect against the build-up of fatty deposits in the arteries (atherosclerosis). Cholesterol is a fatty substance found in the blood. We all need it, but too much “bad” LDL cholesterol increases the risk of cardiovascular diseases. “Good” high density lipoprotein (HDL) cholesterol, on the other hand, is beneficial because it helps transport other types of cholesterol from the blood to the liver, where it can be broken down. Some people have high cholesterol because of an inherited condition called familial hypercholesterolaemia. Poor diet, high alcohol consumption, smoking and inactivity are also linked with high cholesterol. Aren’t there pills to reduce it? People with high cholesterol can take cholesterol-lowering drugs, called statins, to reduce their risk of cardiovascular disease. But although these are very cheap and effective, they will not work for everyone. Some people dislike taking daily medication or forget to take it because they are feeling well. Rarely, there can be side-effects. Researchers have been looking at alternative treatment options that they can give to patients alongside or instead of statins. The first phase of testing on 72 human volunteers should be completed by the end of the year. This will check if there are any safety issues or side-effects before more studies in people can begin. There is a concern that the therapeutic vaccine might increase the risk of diabetes. The researchers at the Medical University of Vienna who are conducting the human studies will be on the look out for this. Dr Tim Chico, a cardiologist from the University of Sheffield, said: “Many questions remain about whether this approach could work in man. 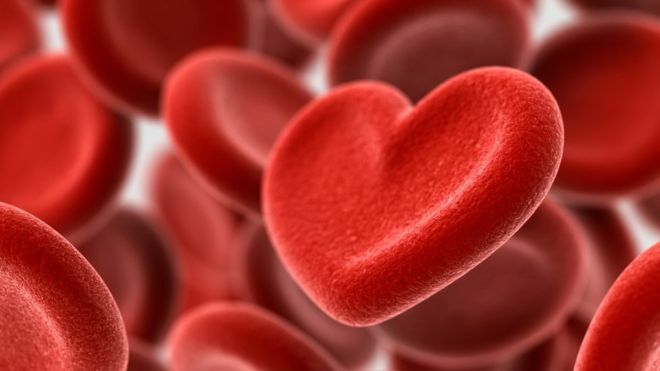 Prof Sir Nilesh Samani, from the British Heart Foundation, said: “Finding new ways to manage people’s cholesterol levels is absolutely vital.